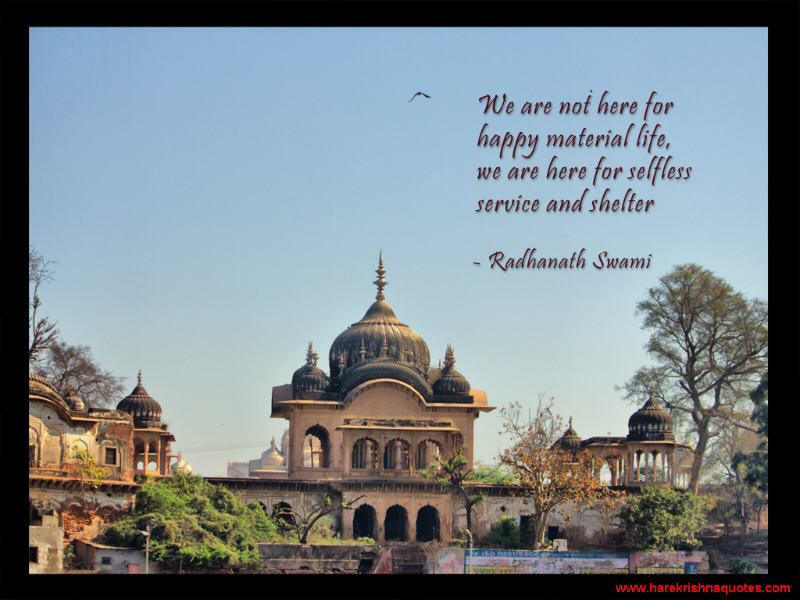 We are not here for happy material life, we are here for selfless service and shelter. This temporary life is full of miseries. Take shelter of the holy name as your only business. One who learns to take shelter of Krishna can be peaceful & protected in any situation. Simply change of situation or service can give us temporary satisfaction but not shelter. 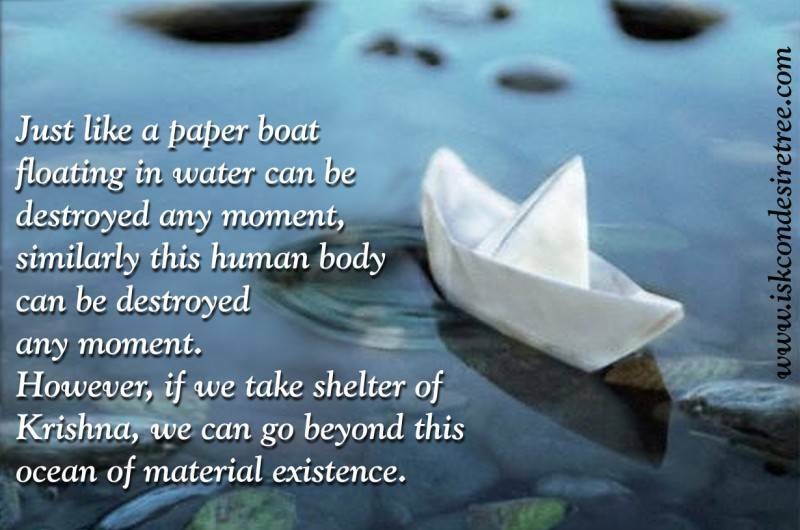 If we take shelter of Krishna, nothing is impossible, everything is possible. As we are putting our hearts in the protection, under the influence of the Supreme Love of God.